Bodacious Butterflies are hand made real butterfly wing, silver & gold, floral, pearl & shell, stone, and glass & crystal jewelry. Christine creates her art in her home studio in South Surrey, B.C., as well as the Working Silver Studio in New Westminster, B.C. Christine started hand making Bodacious Beads woven beaded jewelry in 2011, in a search for alternative forms of creative self-expression. Bodacious Butterflies butterfly wing jewelry came to be in 2012 after taking a stained glass art class from Sunlight Art Glass in Surrey, B.C. Christine's love of butterflies steams from their symbolism of growth, change, and transformation. 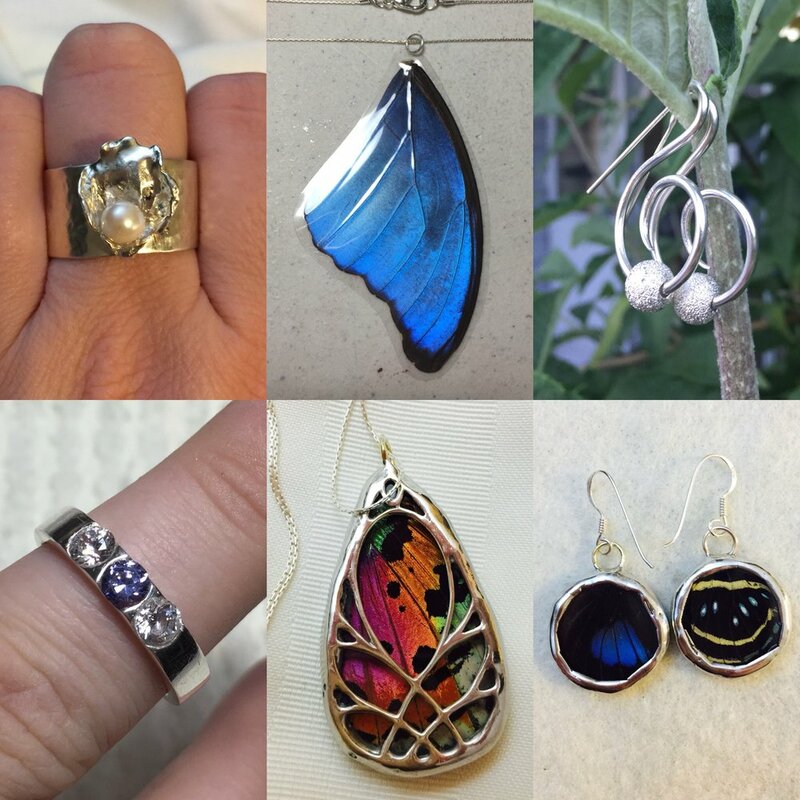 Christine began silversmithing in 2016 to further pursue her love, passion, and craft of jewelry making and design. Christine collects mounted butterfly specimens and enjoys sharing her one-of-a-kind creations with everyone!